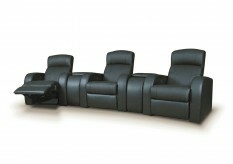 The Toohey 5pc Black Media Seating is the perfect addition for any entertainment room or living room. 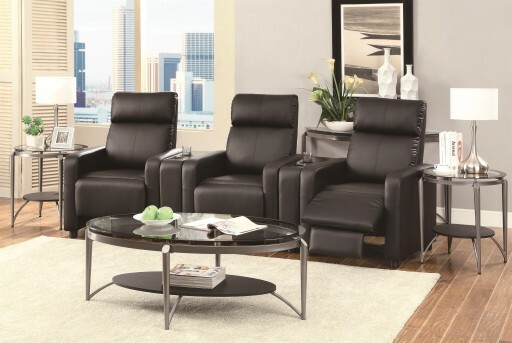 Wrapped in a black faux leather, 3 push back recliner's offers ample seating space, 2 wedge consoles with drink holders, pocketed coil seating, sinuous spring base, webbed back support and a comfortable headrest and arm rests. 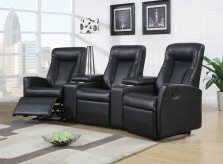 Furniture Nation is proud to offer the Toohey 5pc Black Media Seating online. 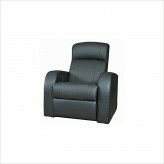 We serve customers across the DFW region including Burleson, Desoto, Lewisville and many more. 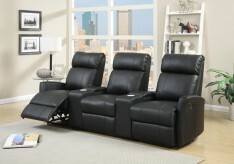 Toohey Black Media Console : L9.5" x D28.75" x H25"
Toohey Black Recliner : L32.5" x D28.75" x H41.75"